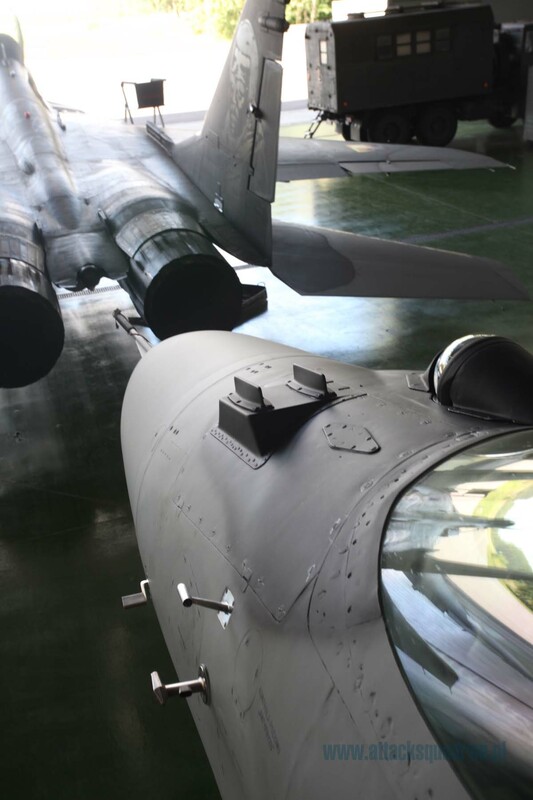 In July 2016, the team of Arma Hobby had the great pleasure of visiting the 23 Tactical Air Base. 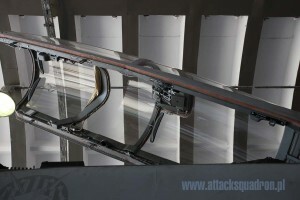 The result of this visit are the following photo sessions commonly known as Walk Arounds. The visit began with a memorial hall in which are presented souvenirs and the story of combat units whose traditions inherited 23 BLT. 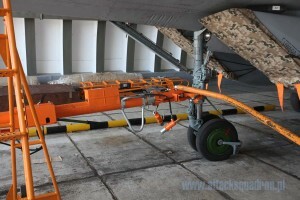 Then we went to the most interesting part for us – visiting the airport. 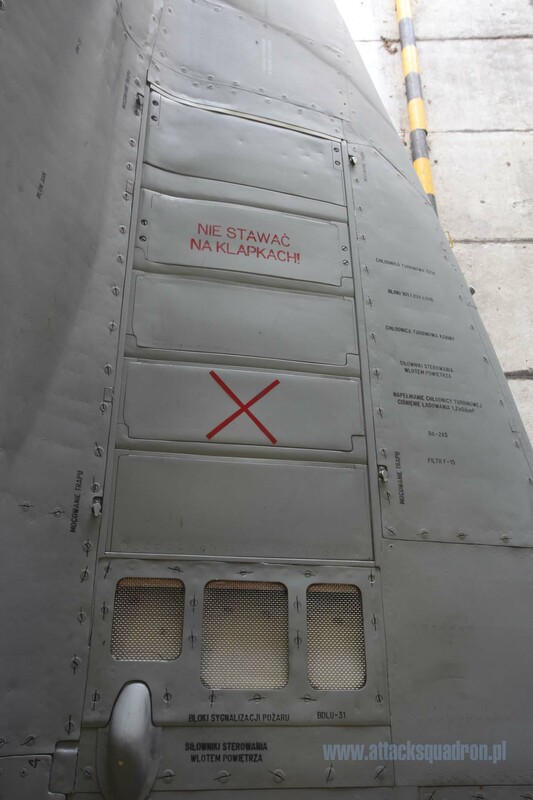 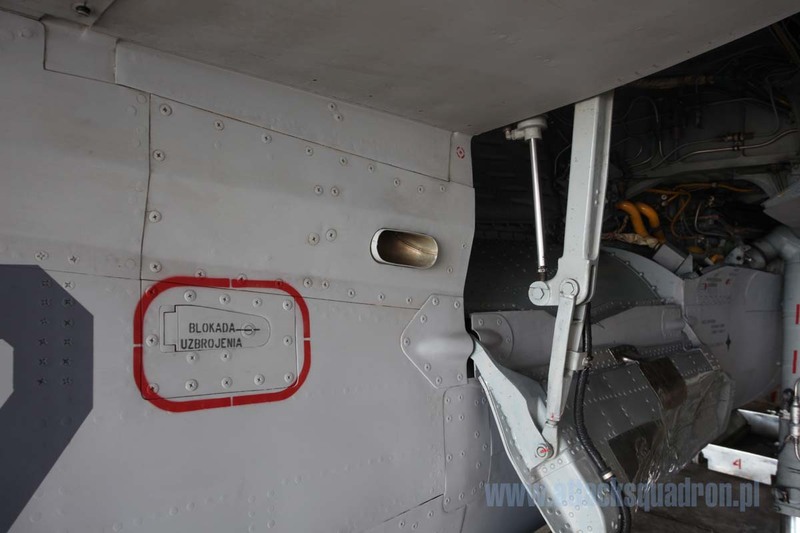 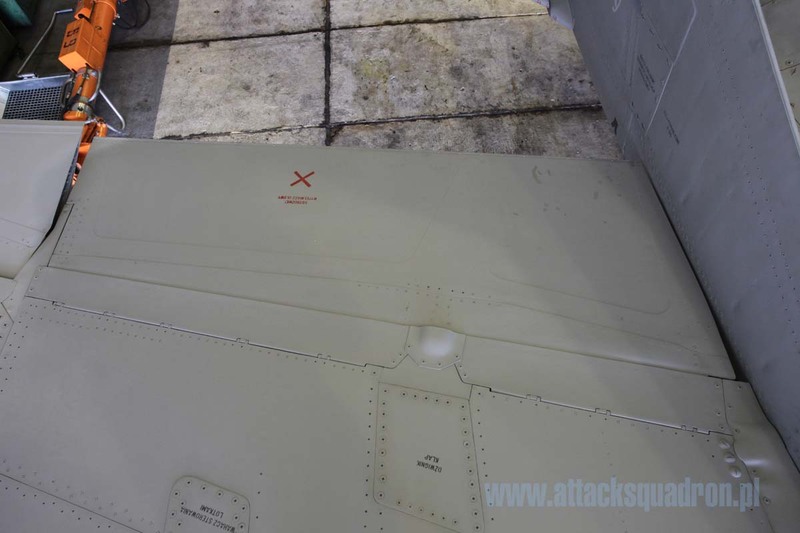 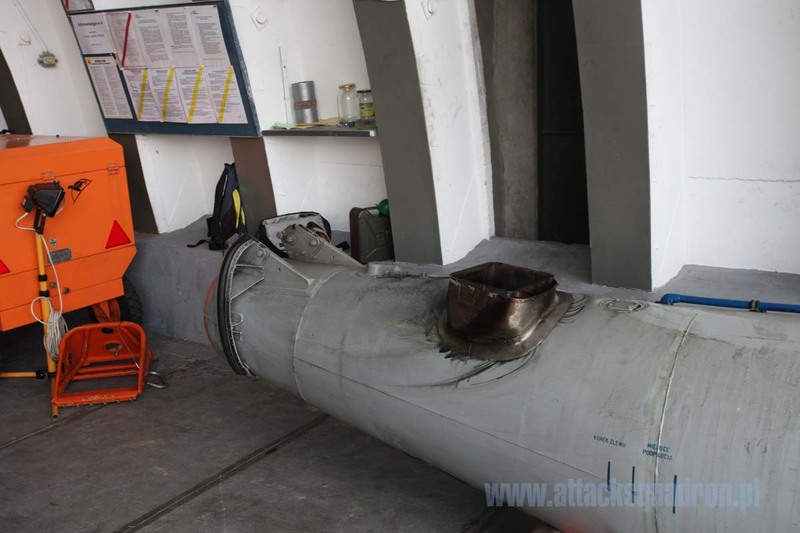 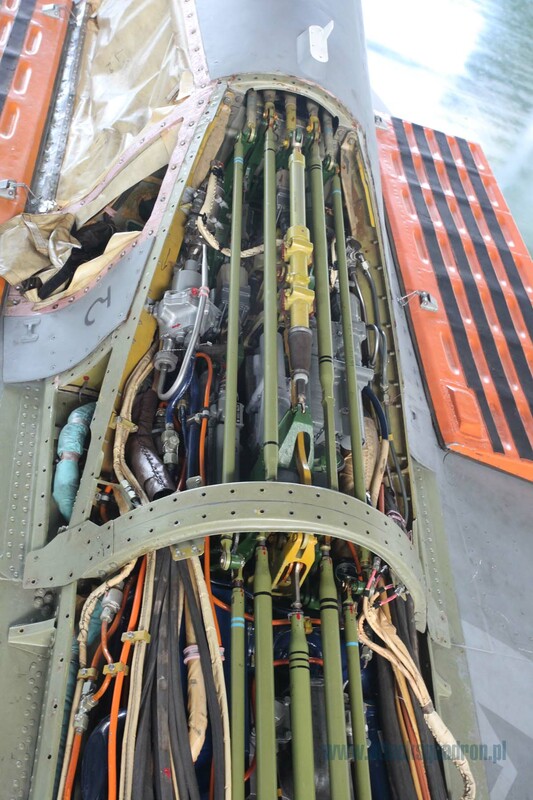 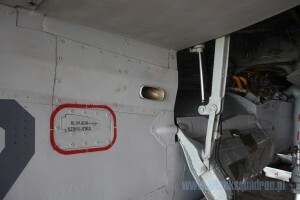 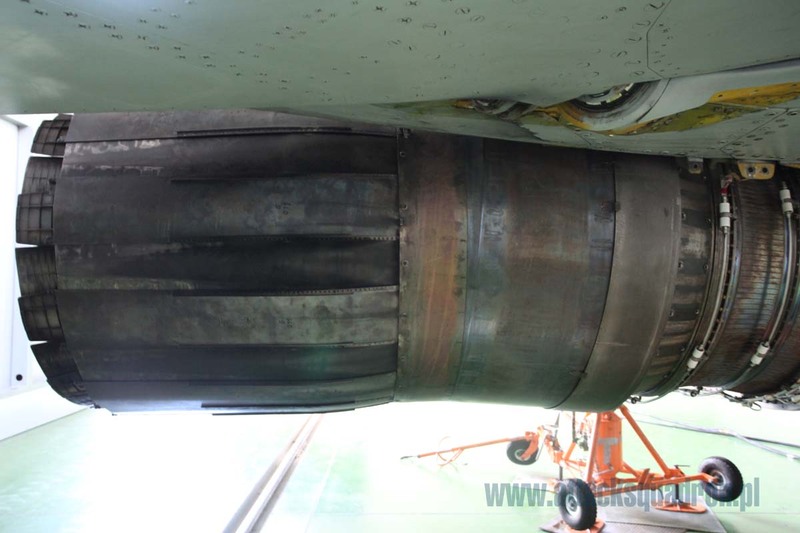 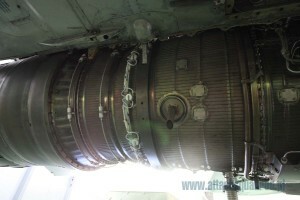 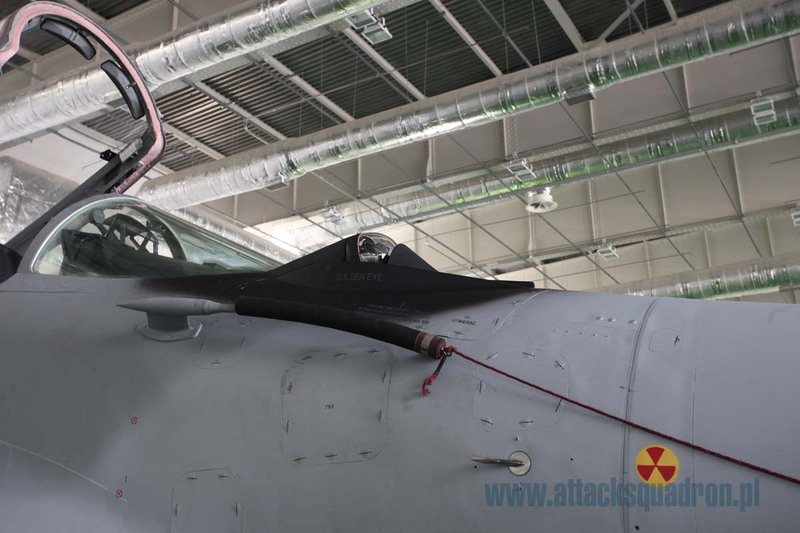 First to be examined was MiG-29 UB with side number 42. The aircraft was set in heavy concrete shelter. Aircraft color scheme attracted our attention at start. 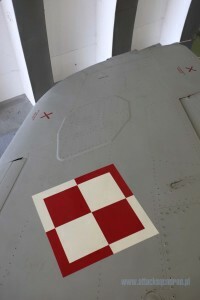 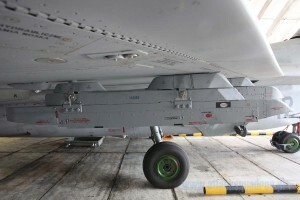 It is painted with a new light gray camouflage, which is the result of unification of painting Polish combat aircraft. 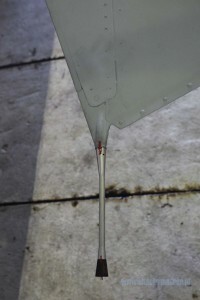 Noteworthy was, first of all, the surface of the airframe. It was repainted quite recently so it should be clean. 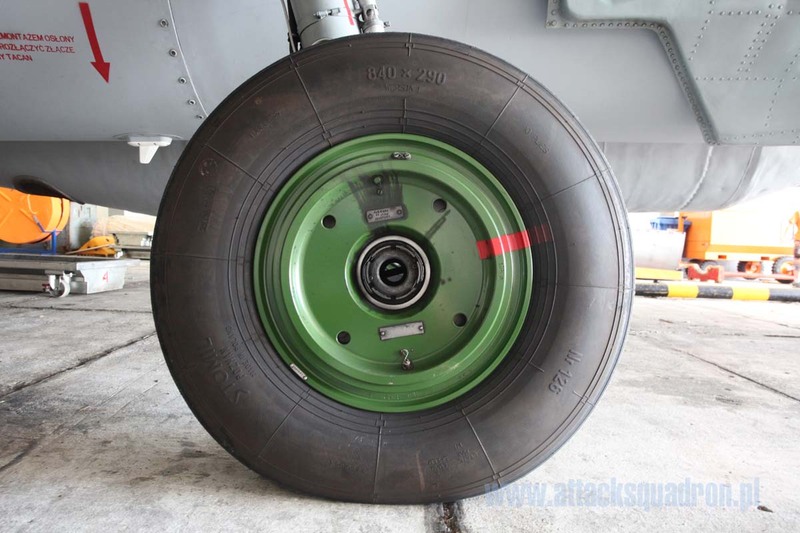 However, matte finish grabs a lot of dirt, in particular from shoes of servicemen that comes after the airframe. 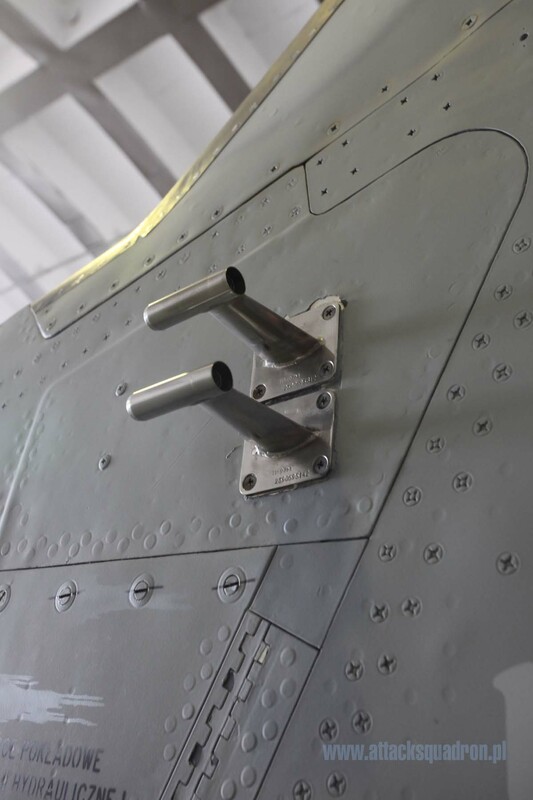 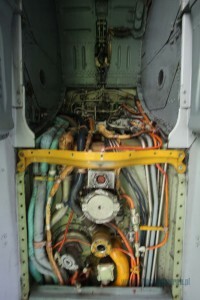 Hence the characteristic traces in reaching the upper surface of the area between the engines up to the cockpit along the hump (bypassing the upper air intakes). 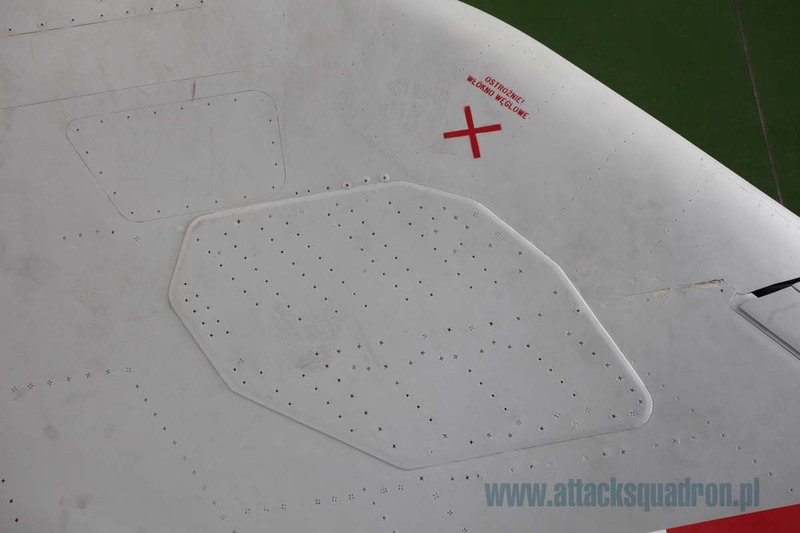 The wings are rather clean here and see only streaks and slightly darken traces reaching from different points of service wings. 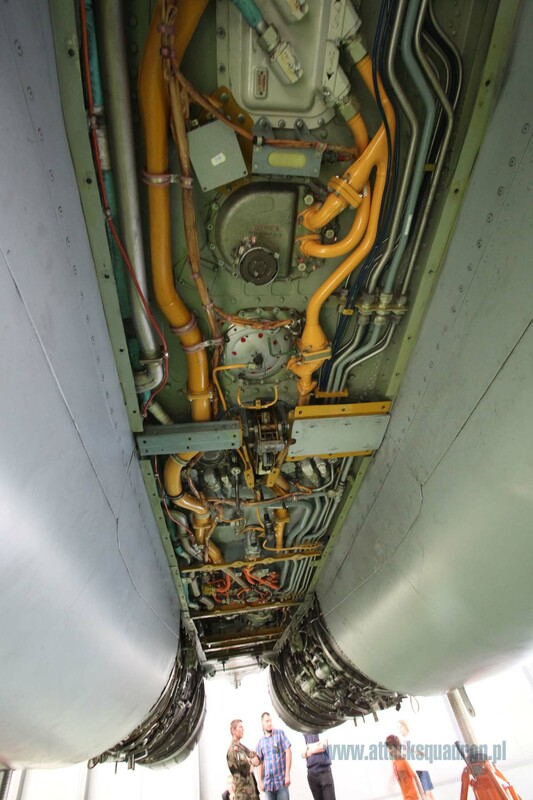 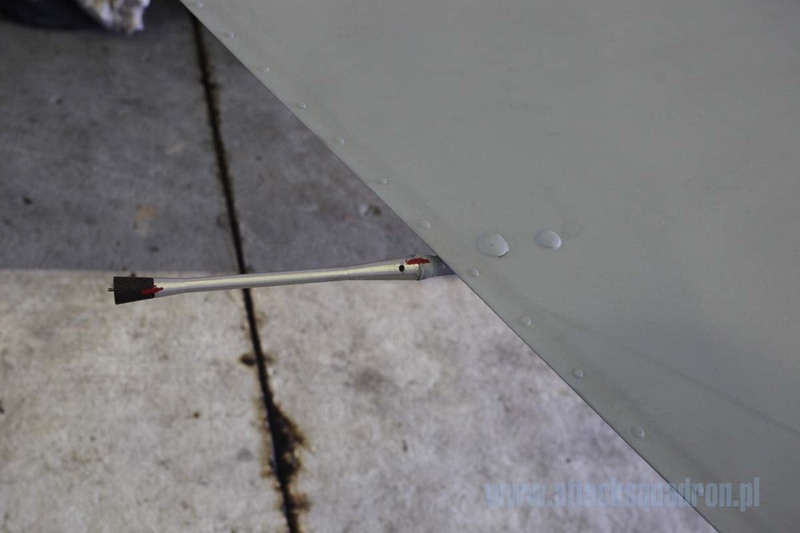 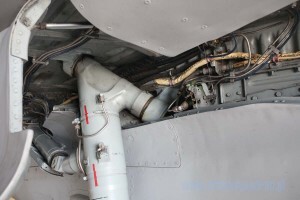 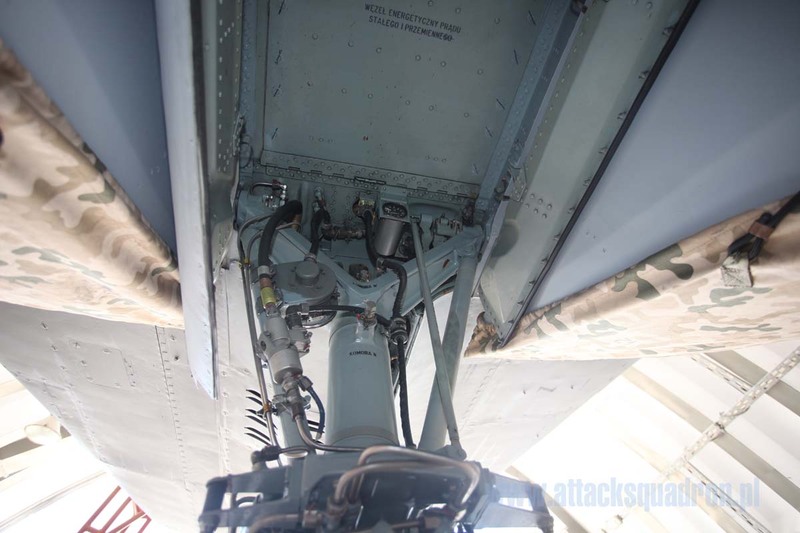 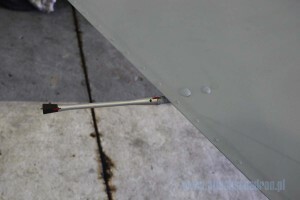 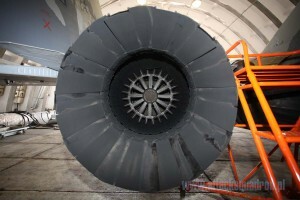 Similar way dirt accumulates on the underside of the aircraft in and around engines bays. 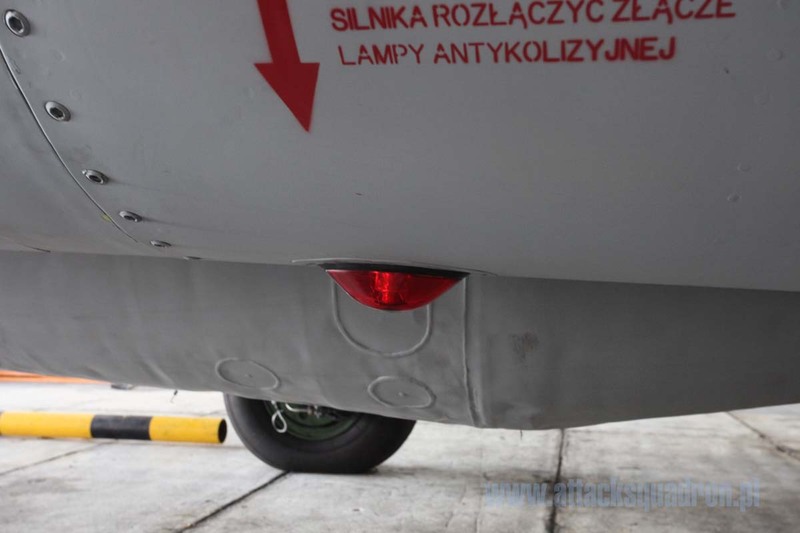 screws with a flat head with a spider, tightening panels less removable, they are quite clear, however, they are as remarkable as dzus fittings. 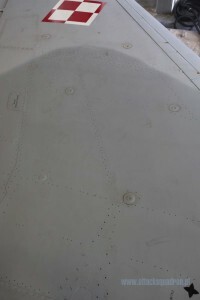 round rivets without any traces on the surface they are painted and difficult to see. 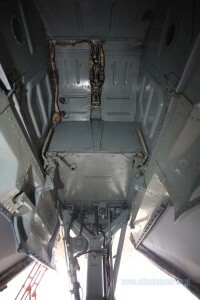 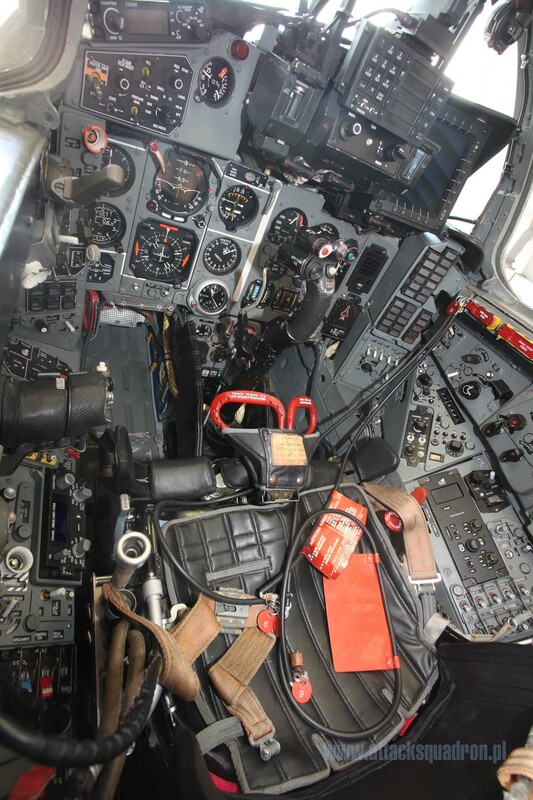 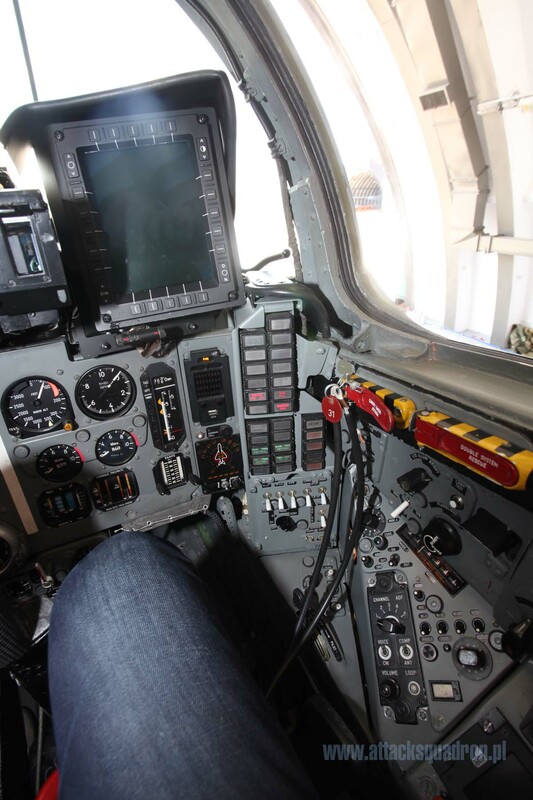 The interior of the front cockpit is identical to the single seat version. 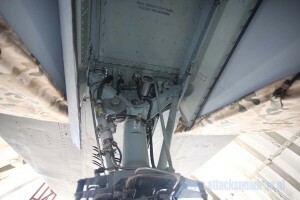 You can see how tight it seems through the lens of my camera. 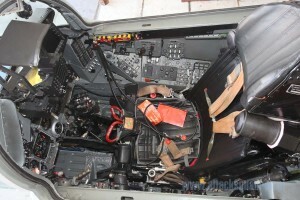 Even wide angle it was difficult to capture the entire dashboard and side panels. 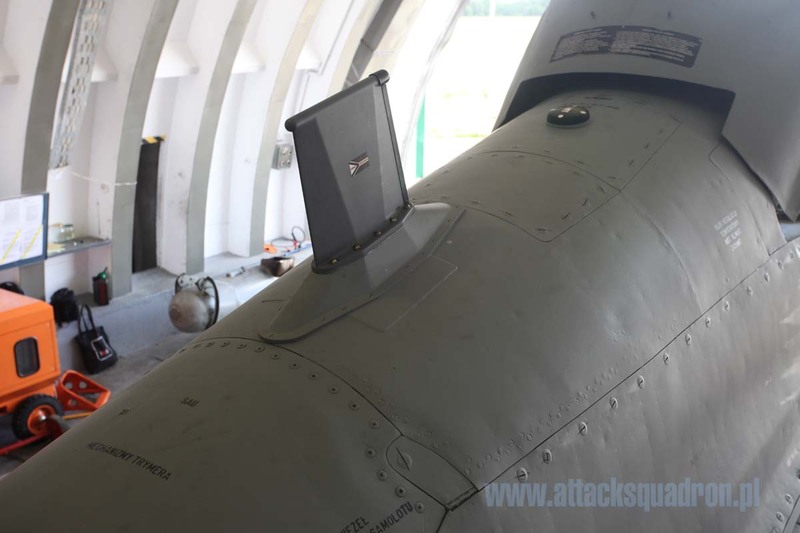 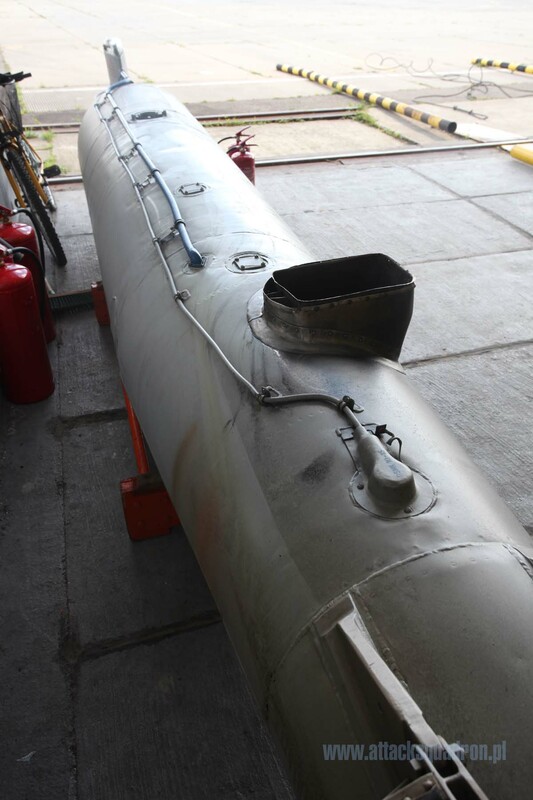 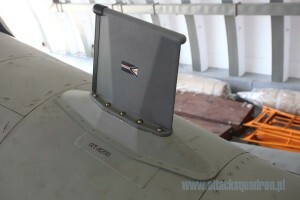 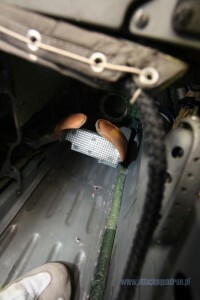 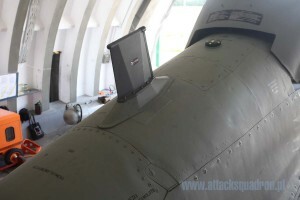 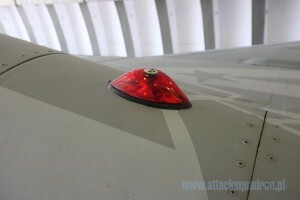 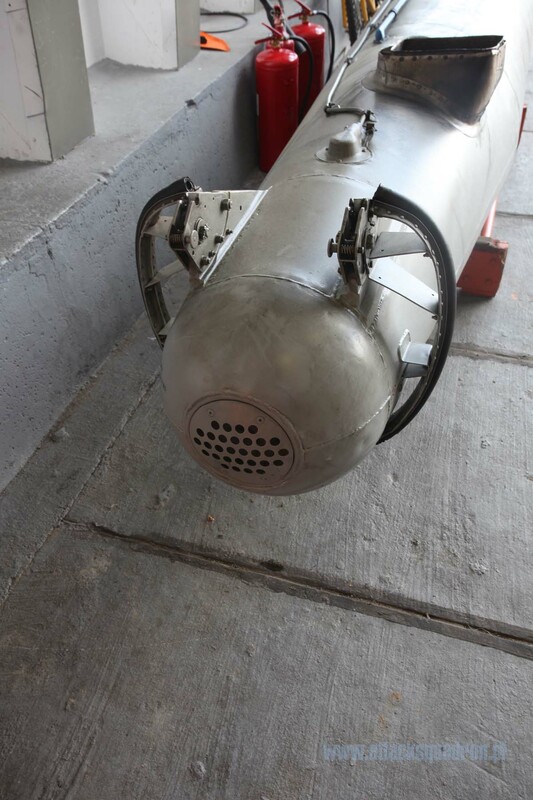 It also cast a glance at an additional fuel tank, which lay under the wall of the shelter. 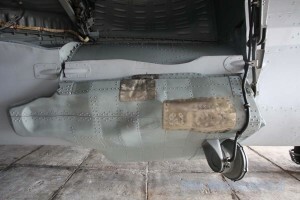 On several shots you can see how worn down is the material from which it is made and how does it get dirty. 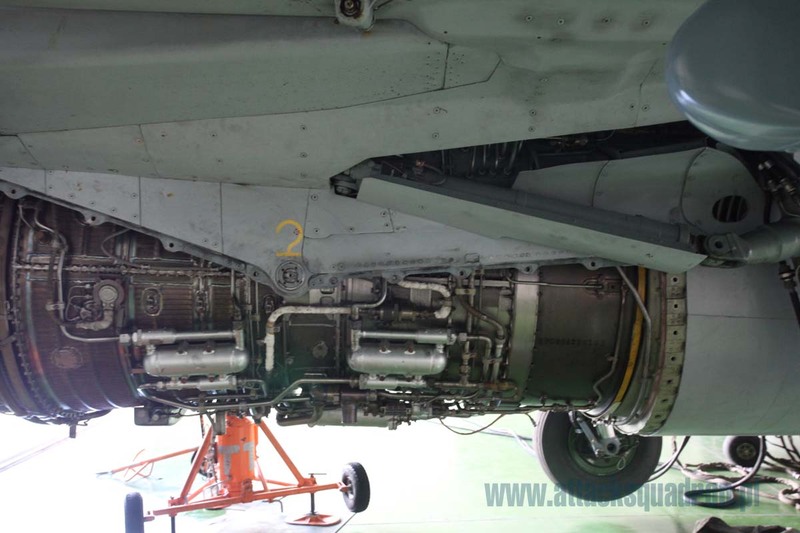 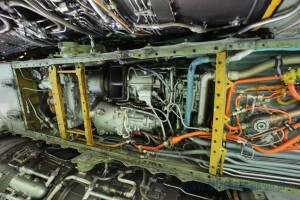 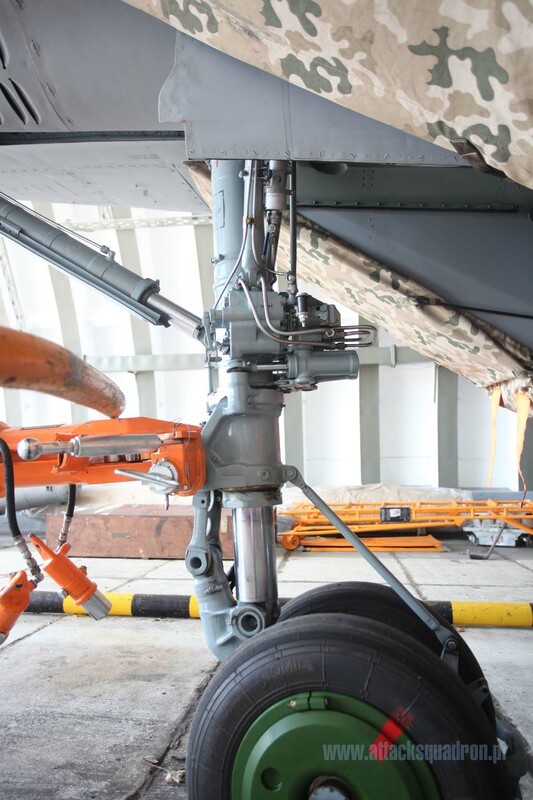 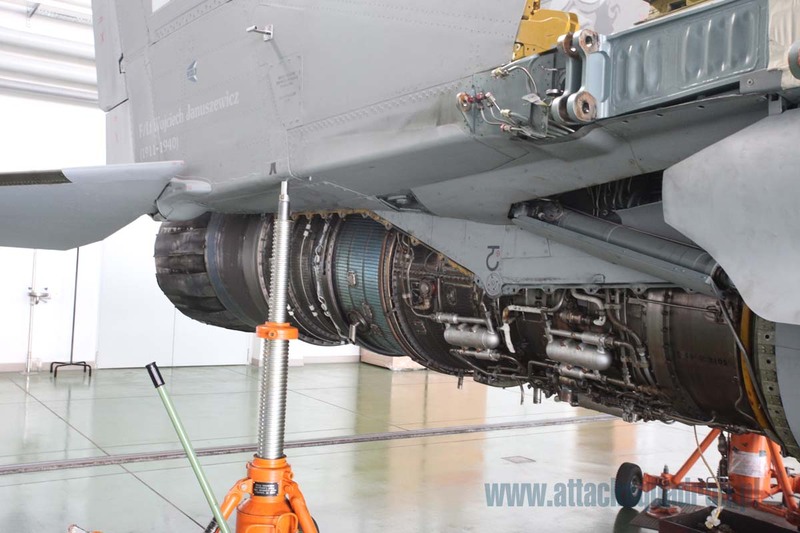 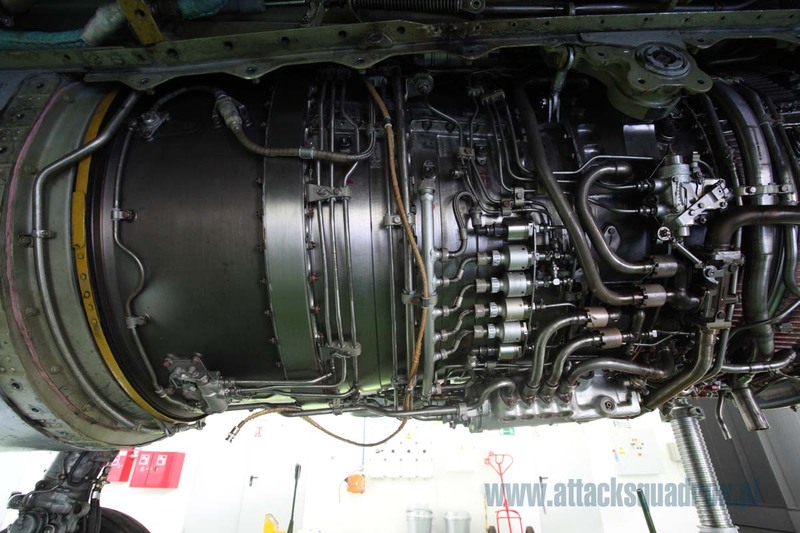 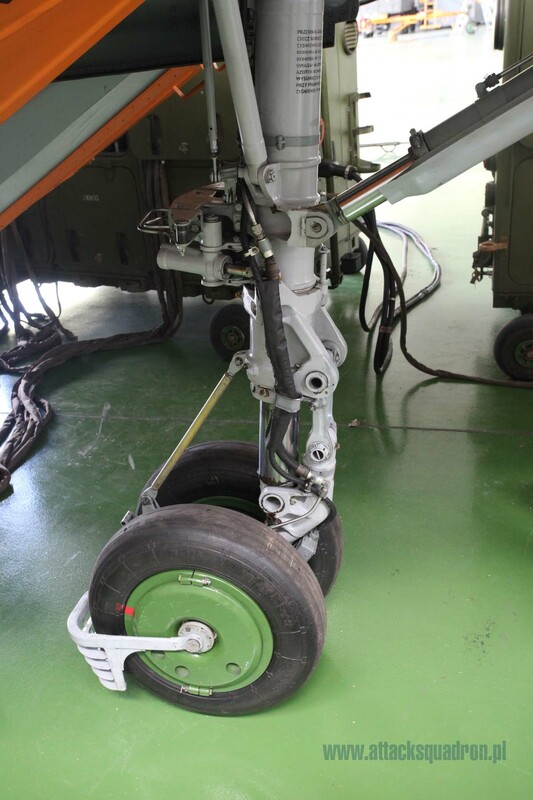 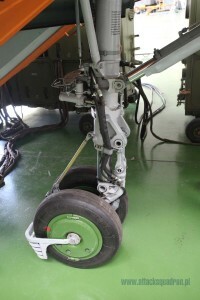 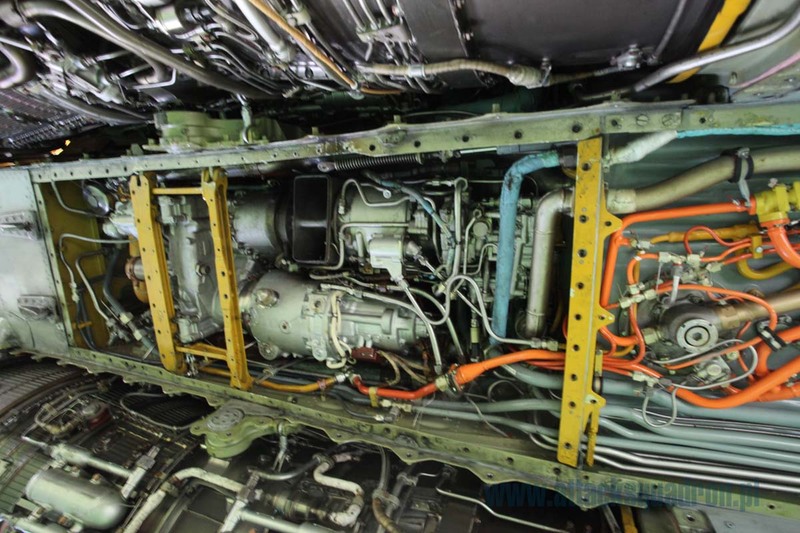 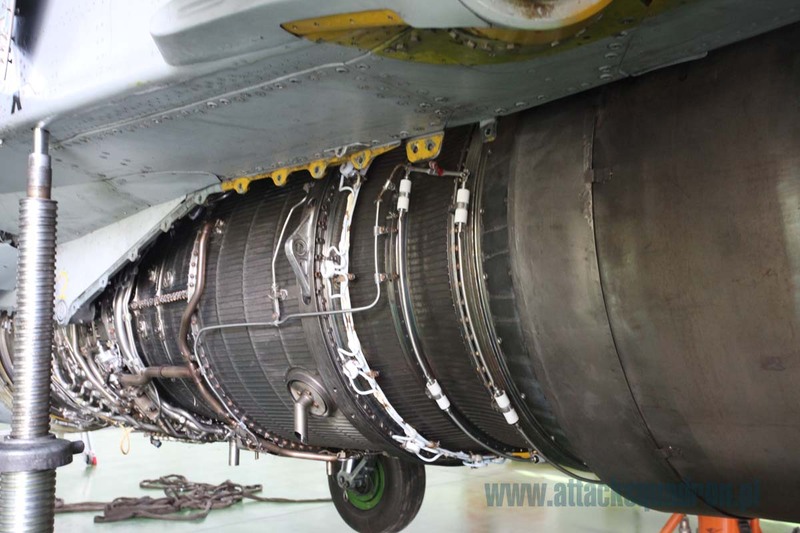 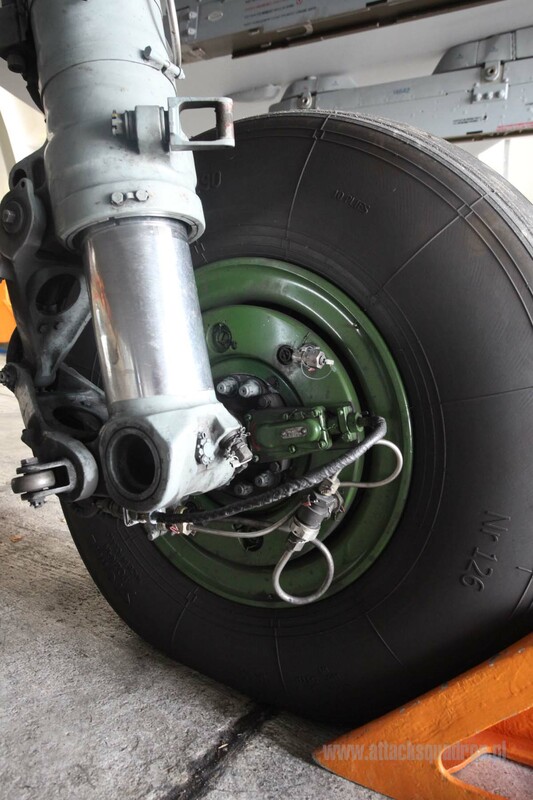 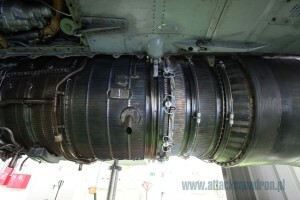 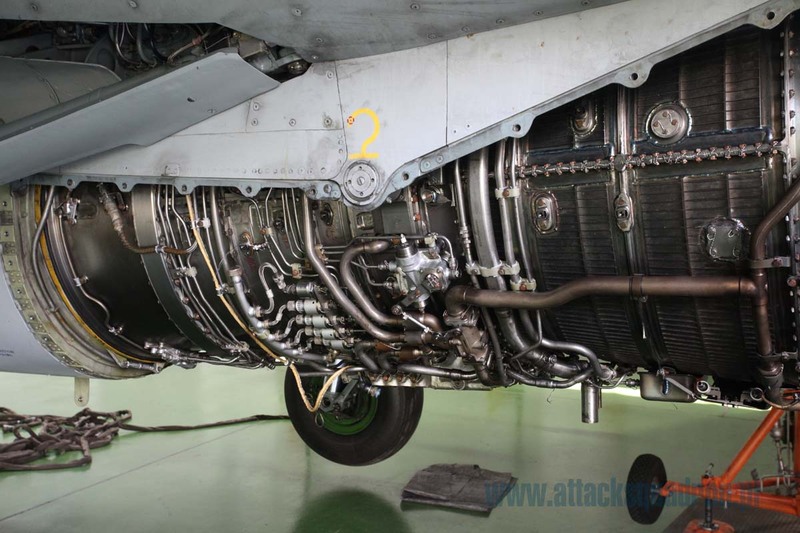 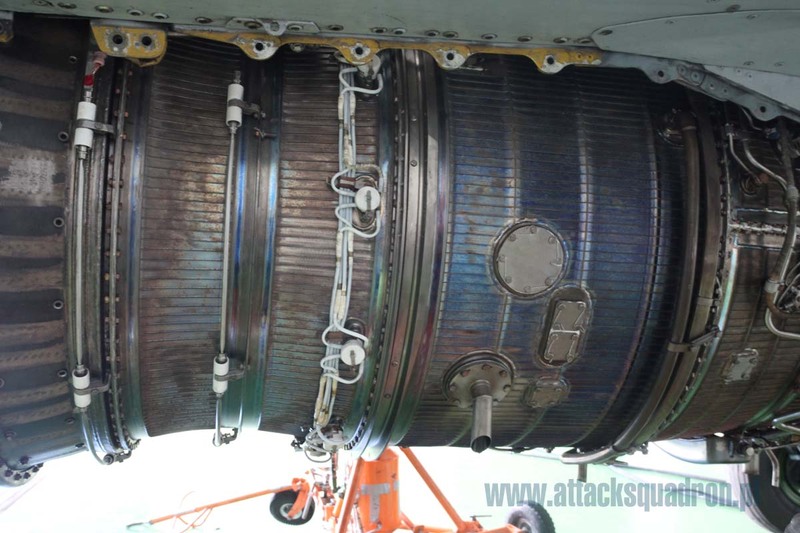 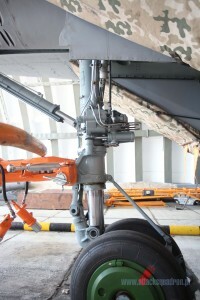 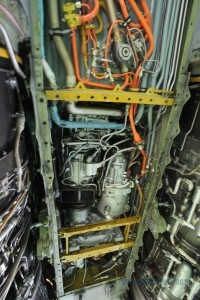 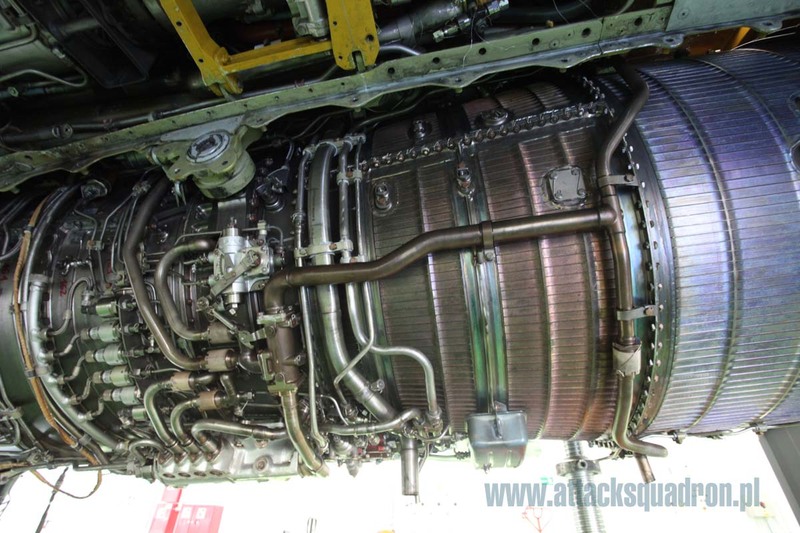 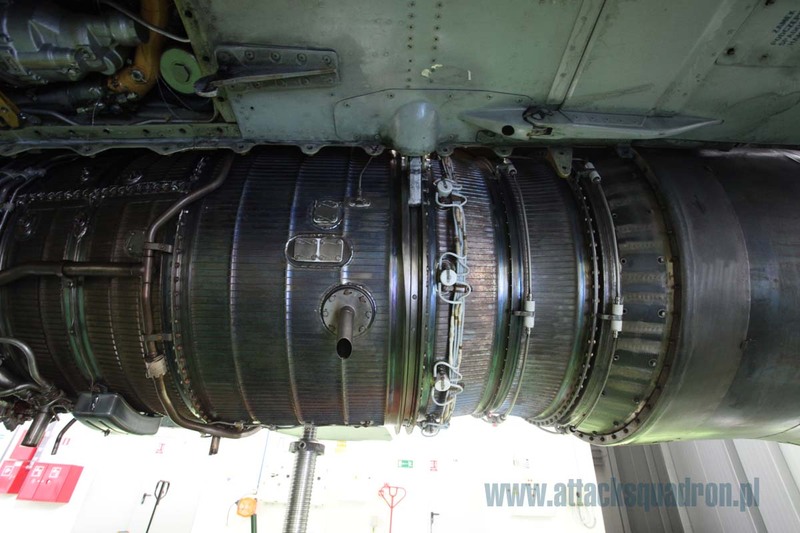 The whole set of picture is complemented by photographs of wheels and the wheel bays. 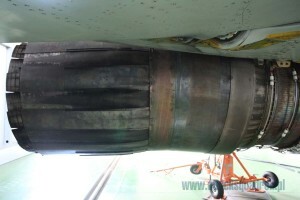 In addition, we present two videos showing these areas. 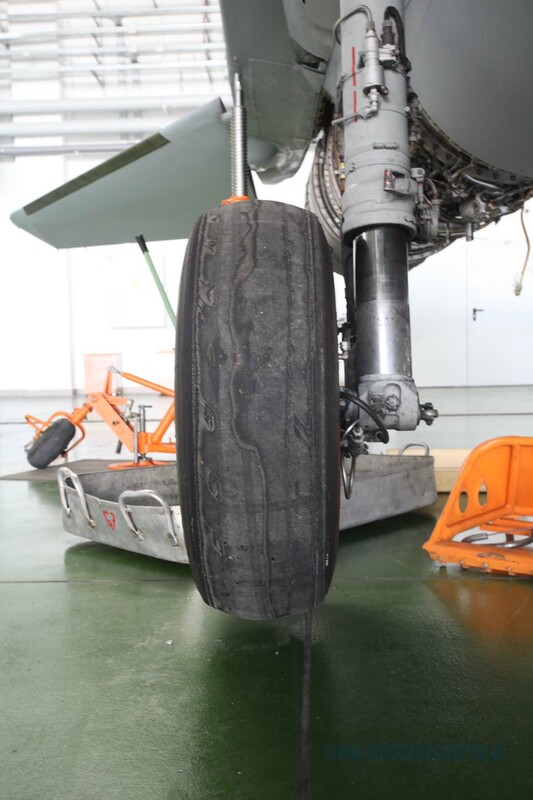 Another site that we visited was the temporary repairs hangar. 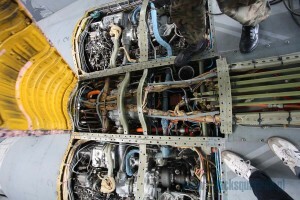 There we had the opportunity to see a few planes in various stages of service. 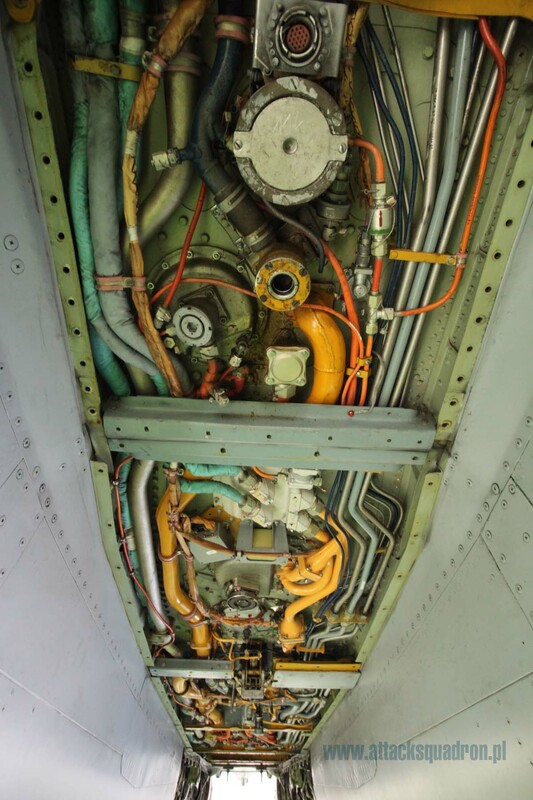 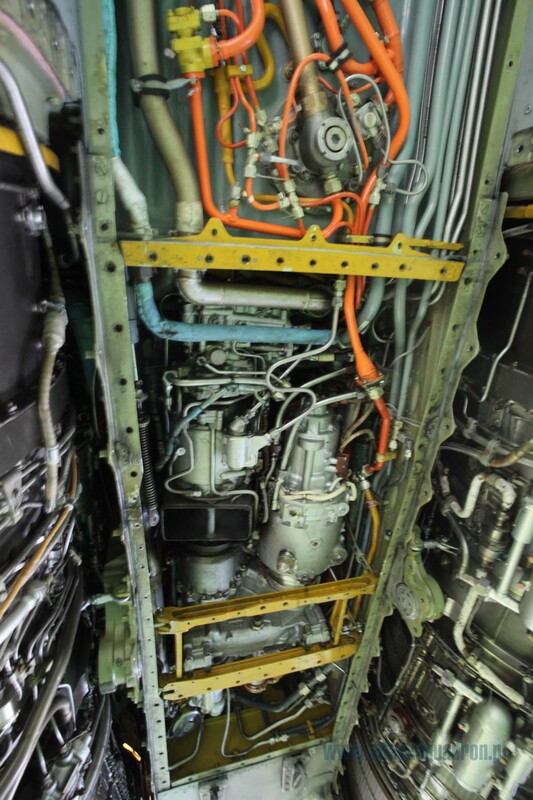 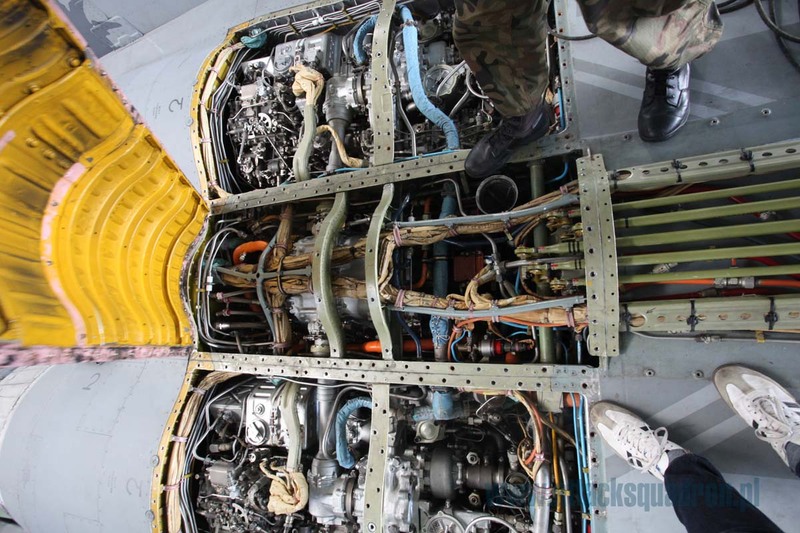 Hence the perfect shot of engines installed on airplanes without any covers. 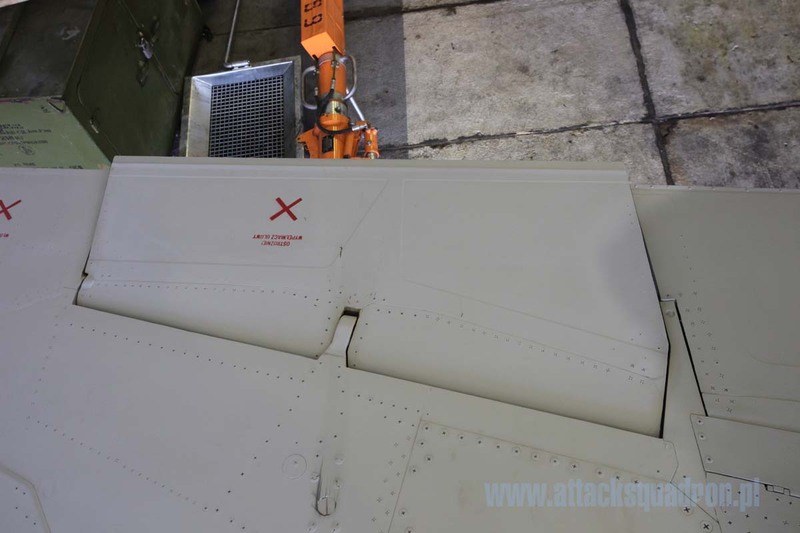 Also removed were panels on the underside of the fuselage between the engines. 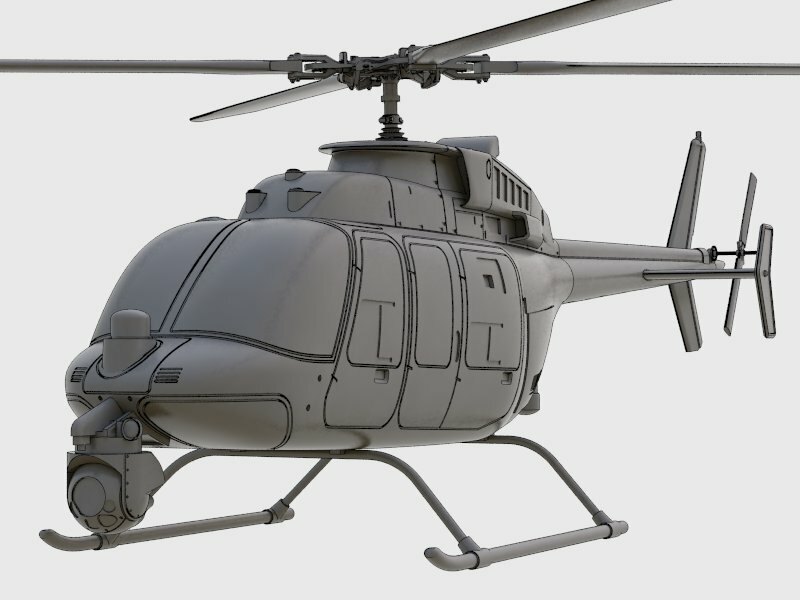 There is a lot of details that would be a huge challenge for modelers. 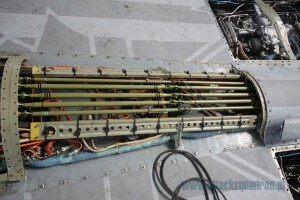 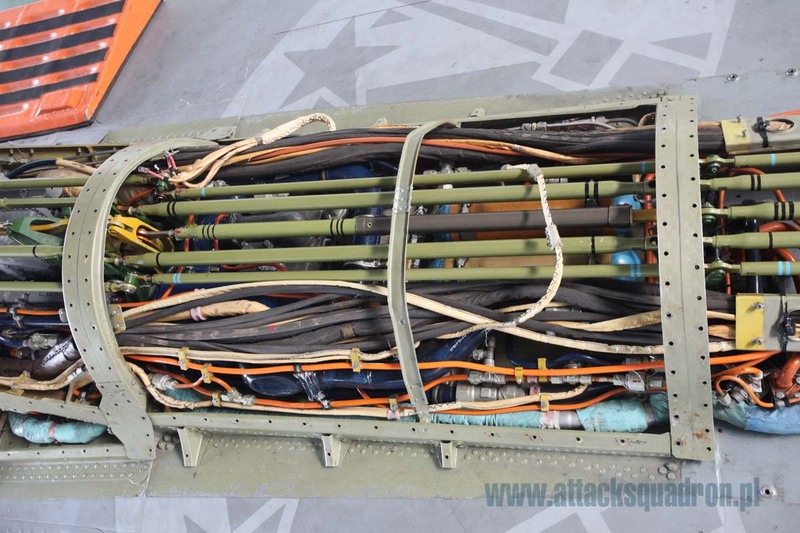 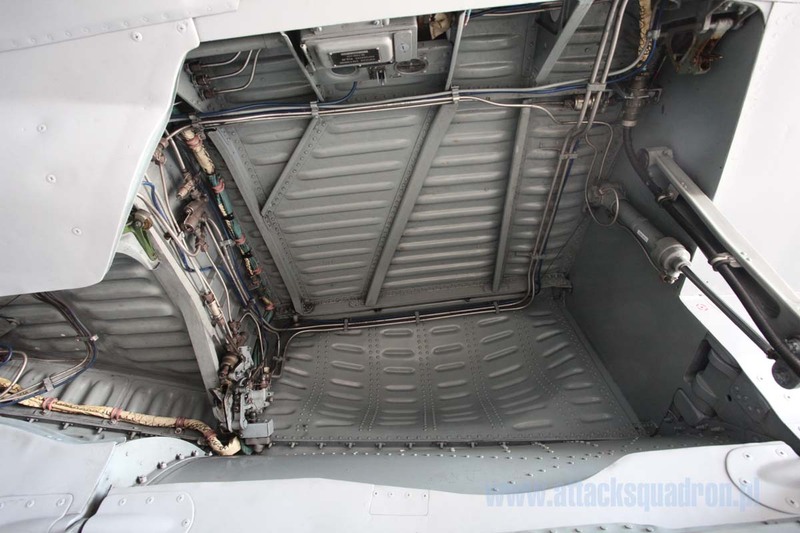 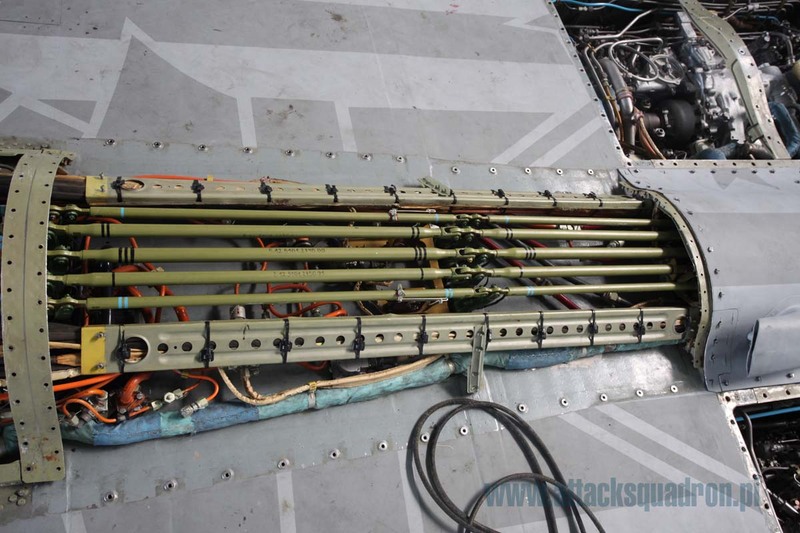 At the top of the fuselage panels were removed reaching along the hump and hiding controls push rods. In addition, we could also look at the panels where all the connections of engines installation at the top behind the hump at the front parts of the engines. 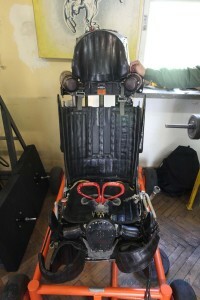 Note the chassis tires. Brand new ones have a longitudinal tread grooves, but with the use they became worn smooth. 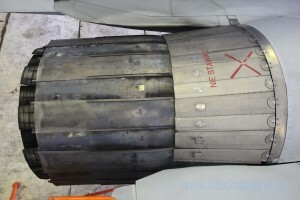 Visible are successive layers of reinforcing threads of the tire. 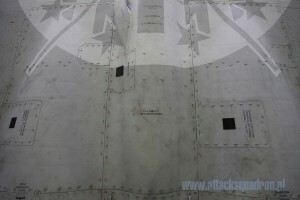 Buy MiG-29 accessories, decals and paint in Arma Hobby. See all MiG-29 products now! 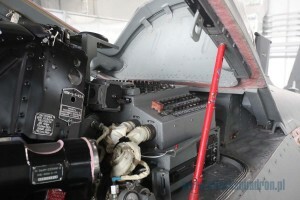 Great Wall Hobby indeed makes two versions of their MiG-29 9-12 kit – early and late. If you want to make a model of the aircraft used in Polish Air Force you can use any of the two mentioned – both of these share the same parts, with an additional sprue provided for early boxing to cover the differences between early and late version. 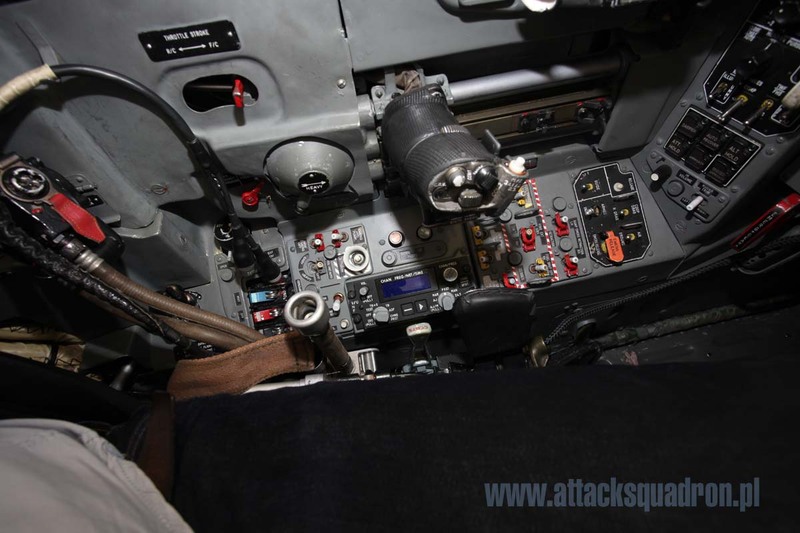 Nevertheless I would suggest buying the early kit, which aside of being upgraded (minor changes to improve some details and make the kit easier to assemble) has wider array of air-to-air missiles, including 2xR-27R, 2xR-73 and 2xR-60 instead of 2xR-27R and 4xR-73. 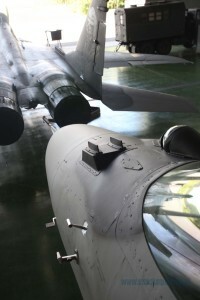 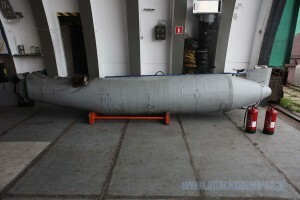 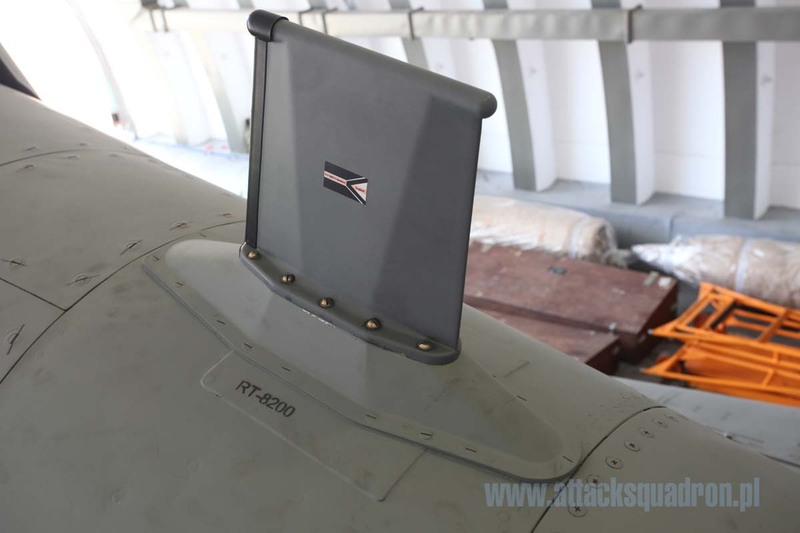 Noteworthy is the fact that the R-60 missiles are the ones most commonly used in the Polish Air Force, where late boxing lacks of their existence. 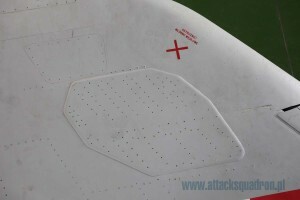 The only downside of the early boxing is the manual that will most probably lead the modeller to build the early version of the airframe – to use the correct parts you can download and build your model using the manual from late boxing, or carefully study the photos of the aircraft you want to build. 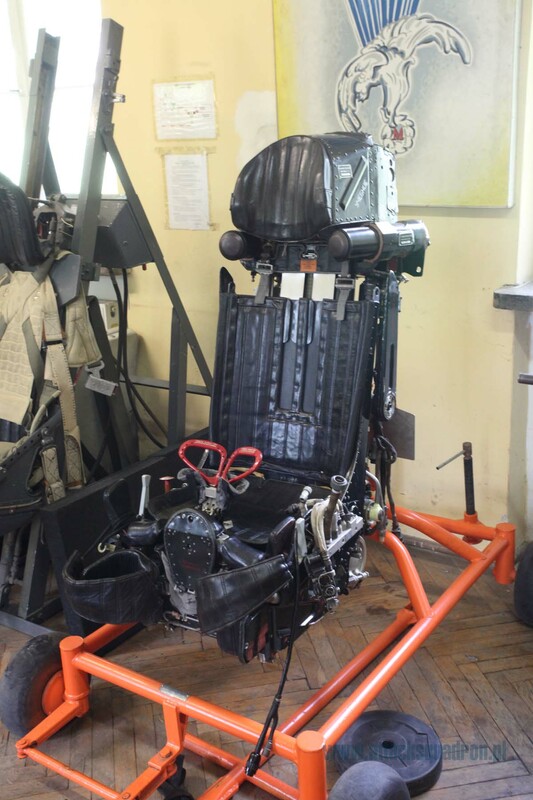 The only differences to notice are different headrest of the ejection seat in cockpit, mudguard for the front undercarriage and small antennae under the cockpit and one on the vertical stabiliser. 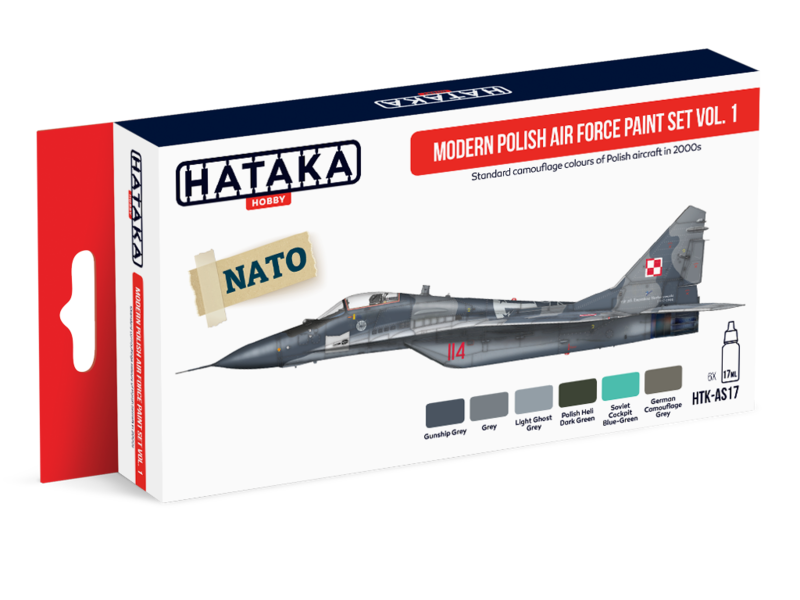 Rest of the parts are you will certainly need (for contemporary aircrafts) are provided in the newly released Arma Hobby set for polish MiG-29s. 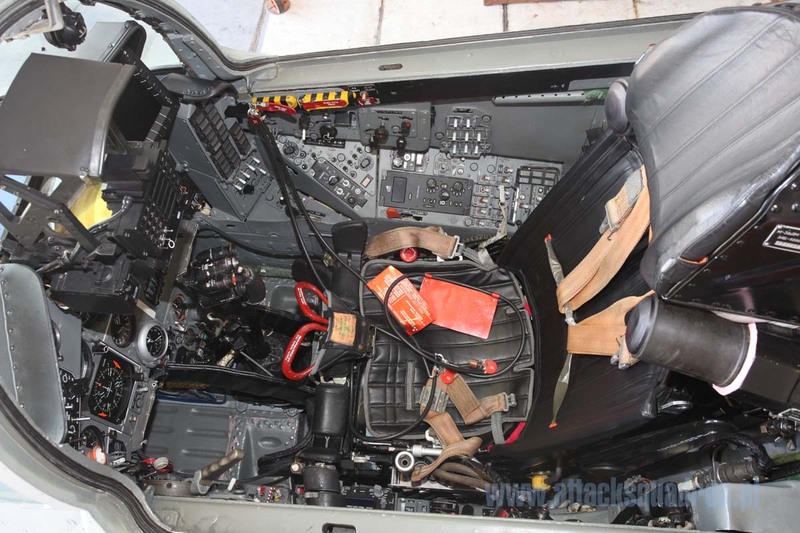 Hope it helped you pick the right kit. 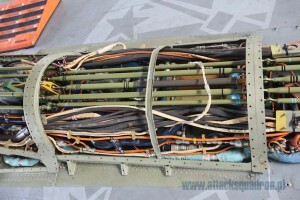 This really helped my to decide to buy the 1/48 upgrade set, as it shows how to install at least some of the bits. 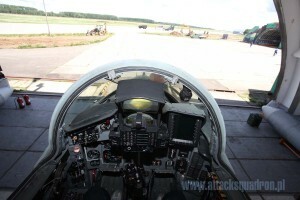 THE POLISH AIR FORCE MIKOYAN MIG-29-FULCRUM. 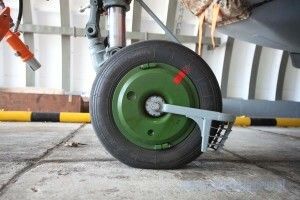 FORMER AIRCRAFT OF THE EAST-GERMAN-AIR-FORCE. 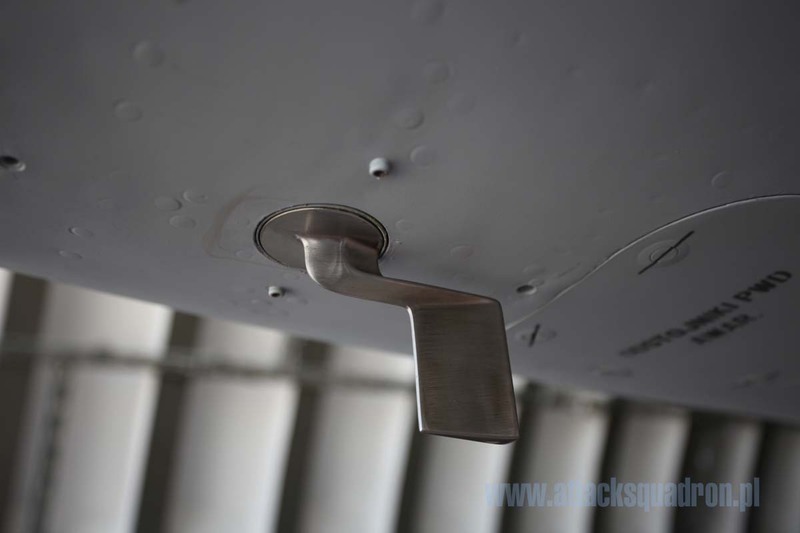 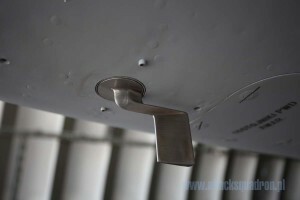 WELL HANDLE AIRCRAFT. Thanks a lot! 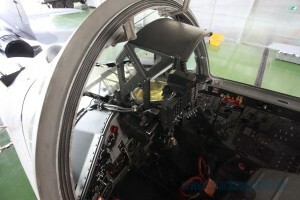 Now we can determine the cockpit colors and details! 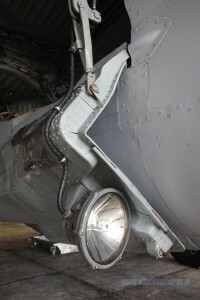 Great walk around. Fantastic walk around!!! Thank you very much for it !!! 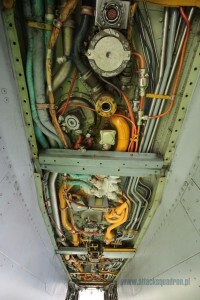 That answers quite a lot of question that we modellers that do not have a direct access to the a/c come up with !!! 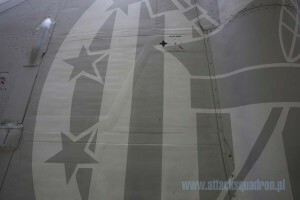 Thanks again !!! 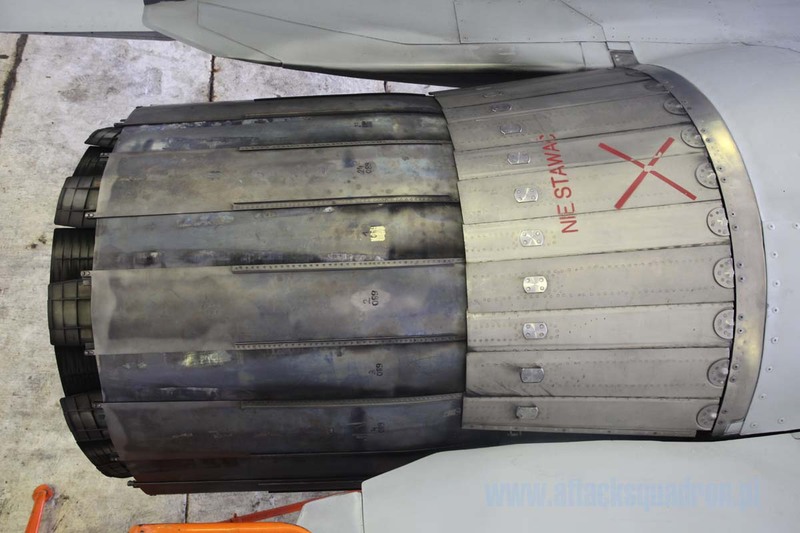 I just got your company’s 1/72nd scale MIG-29 Centerline Fuel Tank for the Italeri kits, can you show me where does it mount, there was NO Instruction Sheet or anything show where it fits to the model.